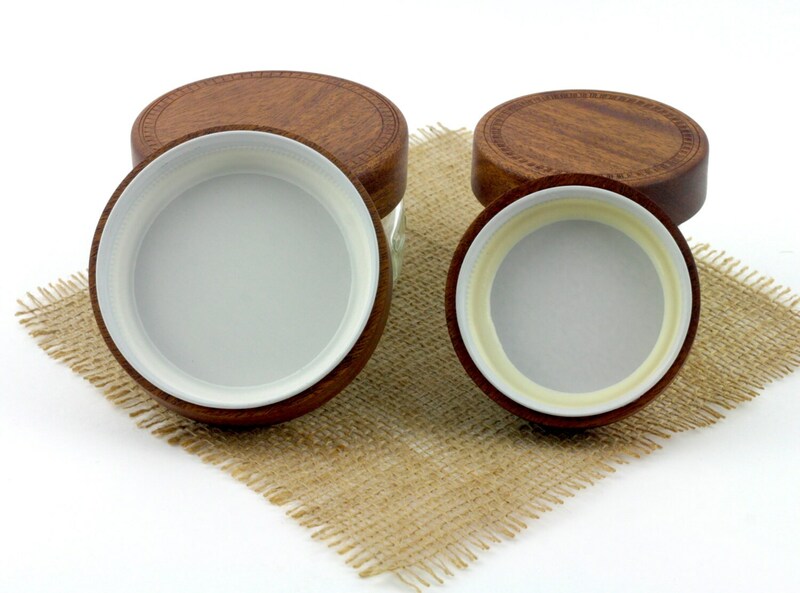 Wooden Mahogany Mason Jar Lids,Wooden Wide mouth Jar Tops, Wood Lids For Ball Mason Jars, Wooden Air tight Stash Jar lids. 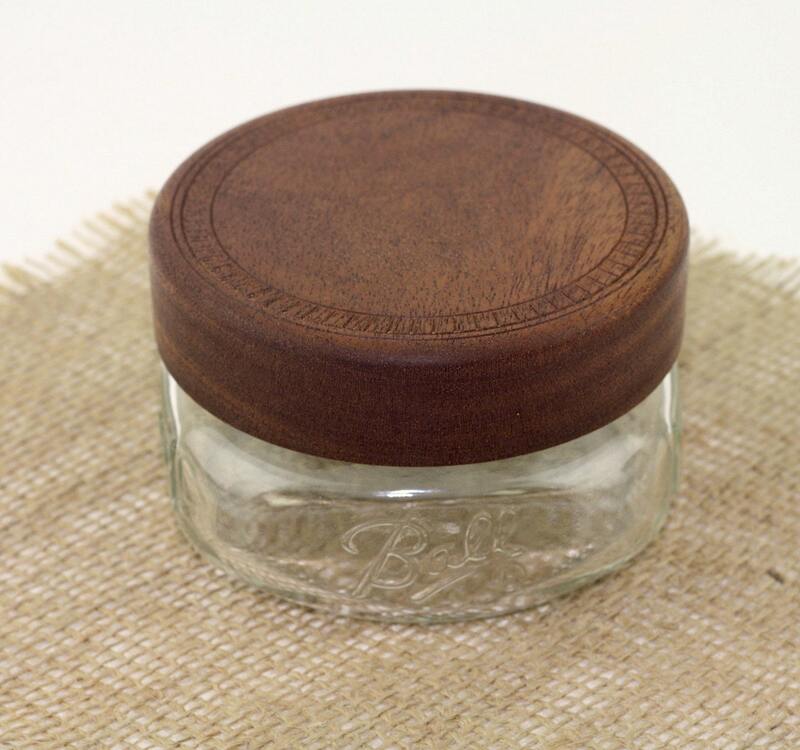 This listing is for Two mahogany wooden Mason jar lids. ** The glass jars are not included in this sell *** Please message if you want the top of the lid to be plain or have a texture design of top. We can do custom designs or your logo on top for an additional cost. Please message first for a price and turn around time. We do gave discounts for larger orders. texturing was added to the top. They are finished with orange oil, Natural Beeswax and buffed. 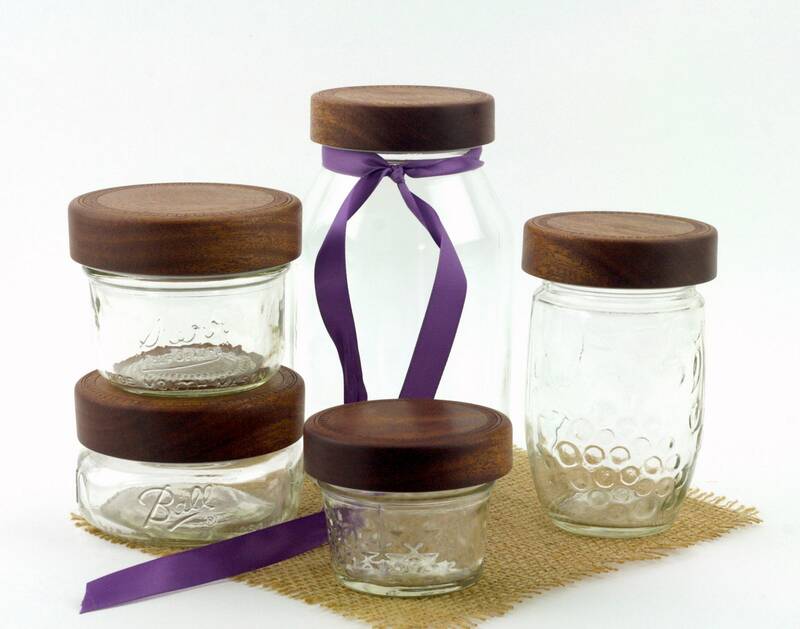 These are wooden covers with a metal caps glue inside that screw to your mason jars. 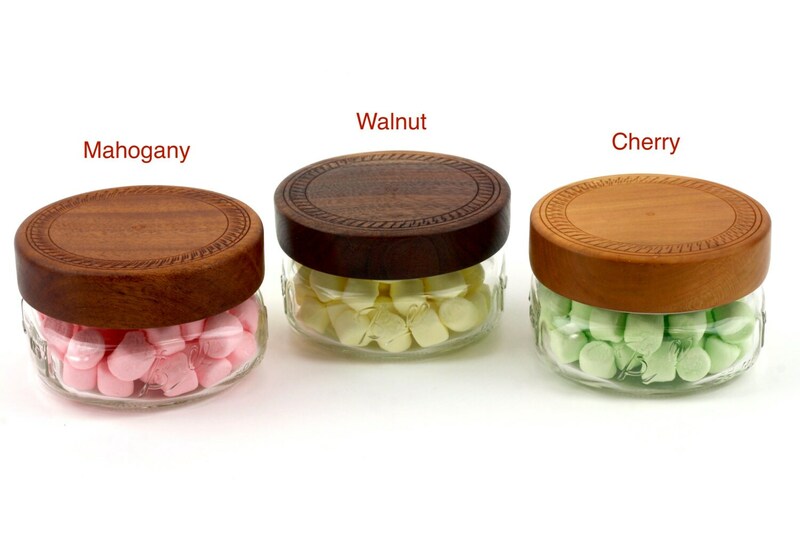 The inner cap is one-piece with inner seal that is airtight and water proof, great way to decorated your stash Jars up. 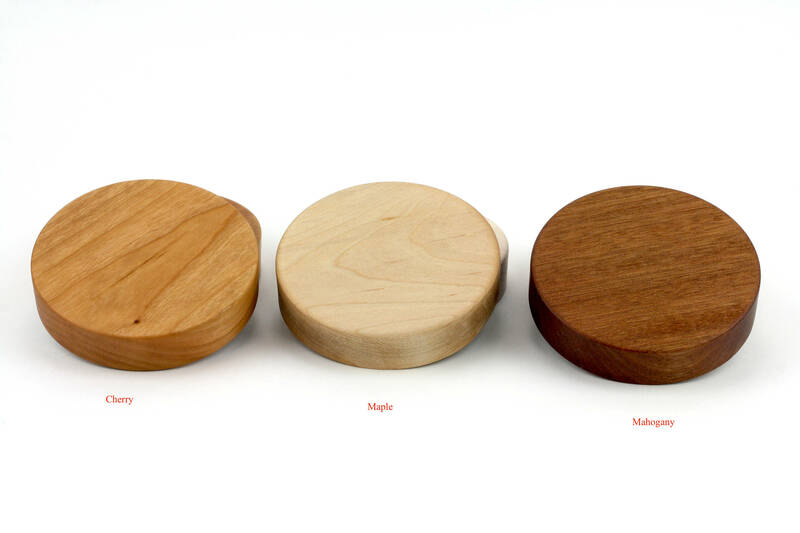 Beautiful wood lids, highly recommend them for decorating your shelves while showing off your spices and grains. 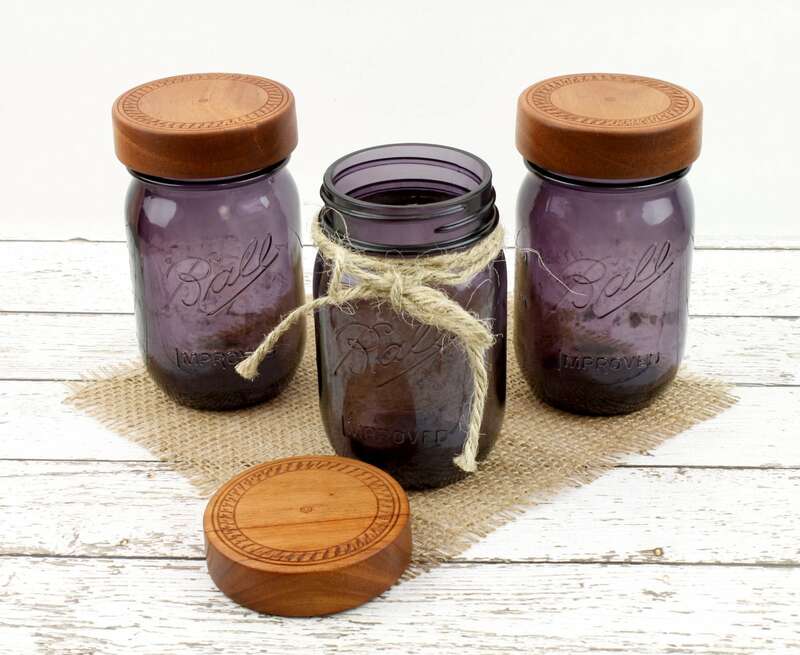 These are by far the best handcrafted Mason jar lids I have purchased. I will definitely be purchasing more in the future! Shipping was fast. Loved the lids! Craftsmanship and customer service were both exceptional. Well done love them great dealer.